I first noticed a few bright blue flitters beside the Thames near Hampton Court some while ago. I thought at first they must be butterflies. It turns out they were Beautiful Demoiselle damselflies. I finally discovered some in the wetland area of Bushy Park. I also discovered, eventually, that they fly away if you let your shadow fall upon them. 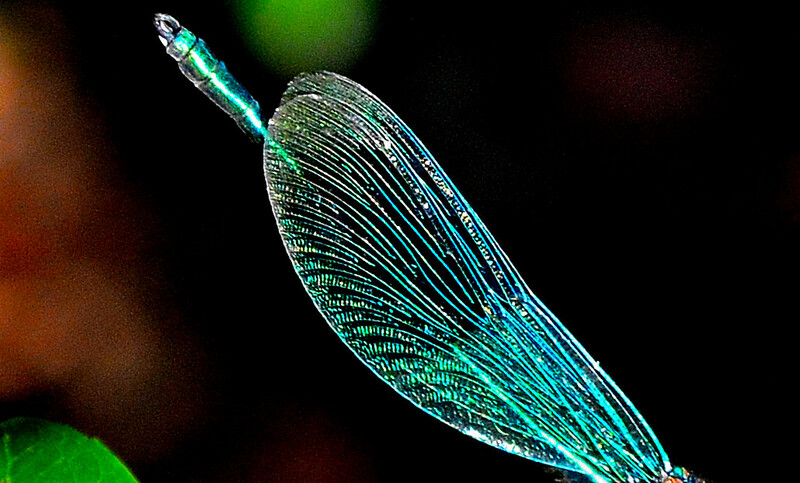 Damselflies and Dragonflies have a number of charming names in folklore across the world, including sewing needles, snake doctors, horse stingers, mosquito hawks and devil’s darning needle. Beautiful or gruesome ? It probably depends on how close we look and, of course, the eye of the beholder. Certainly, I think, one of nature’s wonders. This entry was posted on October 7, 2014 by Graham in Hats. 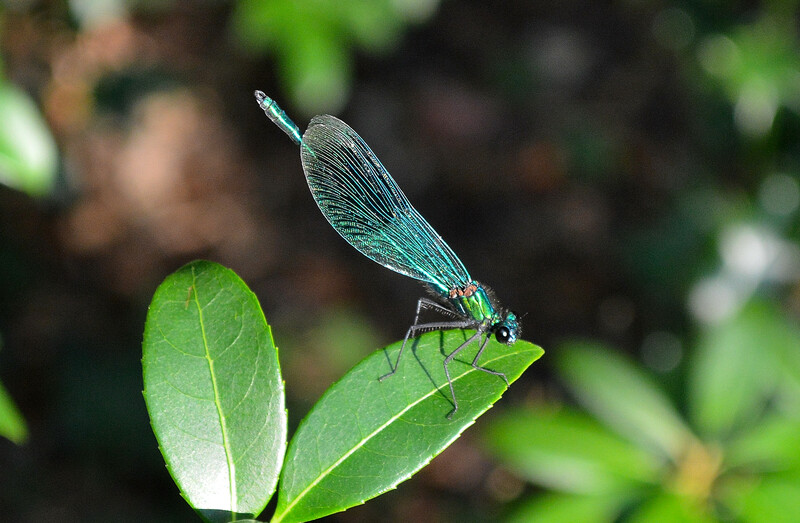 It was filed under natural history, Photography, Places to Photograph Near London, Places to Visit, West London, Wildlife and was tagged with beautiful demoiselle, bushy park, damselfly.